To celebrate the Blu-ray 3D, Blu-ray and DVD release of the epic film Immortals on March 6th, Twentieth Century Fox Home Entertainment and America's Blood Centers are organizing blood drives at 30 select universities across the country starting this week and continuing through March 9th. Students and participants will experience Director Tarsem Singh's visually stunning film, pick up exclusive Immortals premium items, while donating blood at their local college campus. Inspired by the sacrifice that Theseus made of himself to save mankind, the Immortals blood drive event will help support the work of America's Blood Centers to fulfill their mission to help those who are in need as well as encourage others to give. 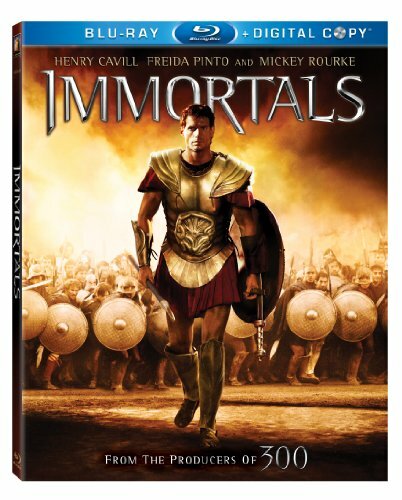 Written by Charles Parlapanides and Vlas Parlapanides and Directed by visionary filmmaker Tarsem Singh (The Cell, The Fall), the Immortals Blu-ray is packed with must-see bonus features including an alternate beginning, two alternate endings, deleted scenes and an amazing graphic novel, creating the ultimate fan viewing experience. hashtag #immortalsblood throughout the duration of the program. Founded in 1962, America's Blood Centers is North America's largest network of community-based, independent blood programs. Recognized by the U.S. Congress for its critical work in patient care and disaster preparedness and response, the federation operates more than 600 blood donor centers providing half of the U.S., and a quarter of the Canadian blood supply. These blood centers serve more than 150 million people and provide blood products and services to more than 3,500 hospitals and healthcare facilities across North America. America's Blood Centers' U.S. members are licensed and regulated by the U.S. Food and Drug Administration. Canadian members are regulated by Health Canada.